The days of business owners having to spend most of their time out of their office, shaking hands and doing lunch, are generally over thanks to Internet technologies. Businesses now fight for ground in their industry online – not in boardrooms and meetings. Internet marketing in Calgary is thankfully a lot more gentile than the set of Mad Men, but that doesn’t mean you can stop putting yourself out there. The Internet is only as useful as you make it! Once you’ve developed a strong online presence through your website it can be easy to just relax and let things flow from there. Unfortunately, you should always assume that there is somebody working harder than you in the Calgary Internet marketing world. The best way to stay competitive is to always seek improvement in every aspect of your promotions planning. The most obvious way to build an online presence is to get involved in social media. As far as the format most conducive to business, by far LinkedIn is at the forefront. The only social media site that specifically targets employees, employers and businesses, LinkedIn allows members to build company profiles that can be searched separately, and to which their employees can connect to. It’s excellent for headhunters and job searchers, and provides another outlet where your company can shine. Build your LinkedIn network by searching out as many connections as you can – both personal and professional. Connect with affiliates and partners, and join and participate in groups of interest. Keep your information up-to-date by being diligent about filling out the fields of your profile, and be sure to offer interesting and relevant content in your status updates. Facebook and Twitter are also useful tools, and to be successful on both requires the same instruments as for LinkedIn. Always be responsive – but most of all respectful – and use your social media profiles as a way to communicate about the best things about your business, your employees and customers. 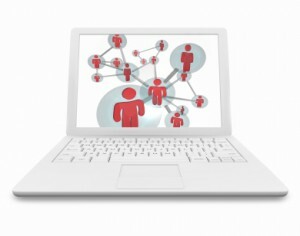 Other method of networking online is by tweaking your website. Writing blogs is key for not only providing a more robust and helpful website for your clients, but also for inviting participation from others. Allowing commenting on your blogs means you are listening, and you respect the opinions of others. More techniques for online networking that may seem less obvious but are not at all less important for gaining prospects are systems for ordering your product or registering for quotes, offers of free newsletters or e-books and methods for ensuring all contacts are followed up on. Known as inbound marketing, these processes simply make it easier for clients to reach you while also gaining something of value at the same time. OK, ok, not all effective marketing happens online. Do get out of the house (or office) every now and then and explore Calgary. Internet marketing tools are powerful, but they are really no substitute for face-to-face meetings. Break out of the boundaries of your regular confines every now and then and head to where the business is. Check out the professional associations of your target market and head to their trade shows and industry get-togethers. Once there, talk…but not about yourself. If you want to properly provide services to or represent someone and their business, then you have to get to know them. Ask a lot of questions about how they currently run their company, their philosophy and mission, what they think is great about what they do and where they think they could do better. Don’t be afraid to share your ideas up front – business and Internet marketing in Calgary means you can’t be trepidatious about representing yourself and what you do. Finally, make sure you have business cards. It’s very surprising how many people either fail to carry their business card or don’t even have one to begin with. Passing your card to someone is a great initial point of contact, and cards tend to stick around longer than you’d think. Most people keep a collection somewhere in their desks they can refer to, so as long as your card is in that pile you have a chance of being recognized as a service provider they have met personally and recognize. Research shows that clients are almost always more likely to go with than someone they have met than not. The beauty of inbound marketing is that its purpose is always to put the user or consumer first. The added benefit is that marketers and site owners can essentially run a more efficient – and successful – online business.